It’s understandable that most Americans take antacids when bouts of acid reflux occur. It is actually very painful. This happens when the valve in the stomach weakens and the acid reflux back to the esophagus, which can’t tolerate acidity. When this occurs, a feeling of heart burning sensation occurs like your heart is being clenched. 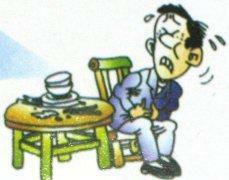 That’s how painful acid reflux could get. And unfortunately, antacids will only make it worst! Yes, when we thought that people suffering from acid reflux has too much hydrochloric acid in their stomach, they may actually be deficient with it. You see, acid helps break down the protein in the stomach and when you have less acid content, it interferes with proper digestion, causing nausea, bloating, belching and other symptoms of heartburn. The following are some of the ways to beat acid reflux. Try taking a supplement containing hydrochloric acid such as Gas-X Extra strength liquid before meals. You should get relief right away if your stomach is deficient with HCL. Just in case you feel a mild burning sensation after taking Gas-X, try mixing a spoon of baking soda in water, mix thoroughly and drink right away. It is thought to relieve and reverse the acidity. A cup of aloe gel could also do the trick. It helps protect and heal the delicate lining of the esophagus which is the part of the digestive system that terribly suffers the pain of an acid reflux. Avoid eating big meals. It makes your body produce a lot more acid. Try eating five or six small meals a day. This should ease down acid production. The simplest way is to sleep properly. How? Since the stomach is more deviated on the left, avoid lying on your left side or on your back as this will encourage the backflow of the stomach contents. Better still, do not lie down when you are still feeling full.